On 3-4 February 2011, Chihuahua and its surroundings were hit by extreme frosts, damaging or killing a significant portion of the vegetation. In the semi-desert ecosystem of Chihuahua, the environmental effects of this damage were high. 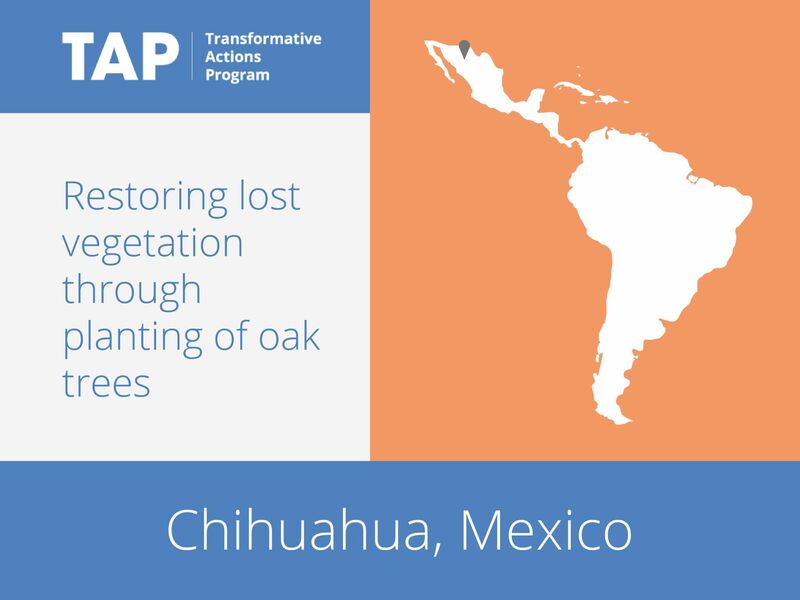 To help to recover from the event, Chihuahua has developed the General Municipal Reforestation plan, which involves the planting of oak trees on roadsides and in public spaces. It will be implemented in three areas of the city, covering 28 hectares. In addition to reducing CO2 emissions and noise pollution, the project will increase the amount of green space in the city, which is currently very low.